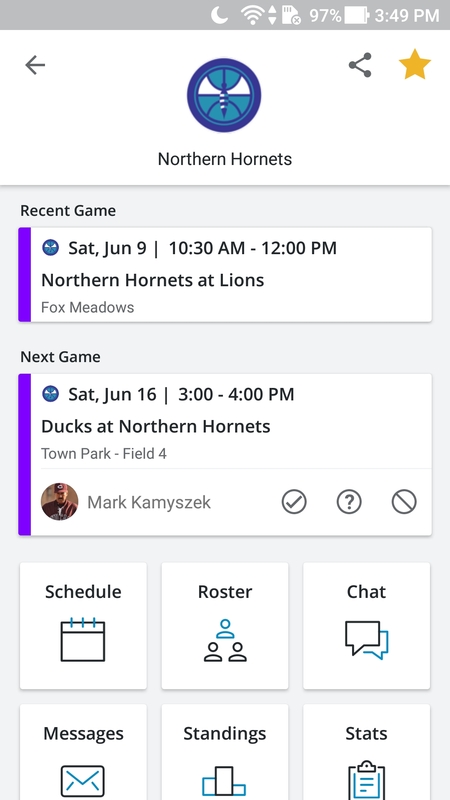 New mobile app feature allows coaches and team managers to add guardians to rostered athletes on behalf of sports families. Over the last year SportsEngine Mobile has made it easier for coaches and managers to unite parents and players with a powerful mobile app that allows them to stay connected and up to date on everything involving their team. 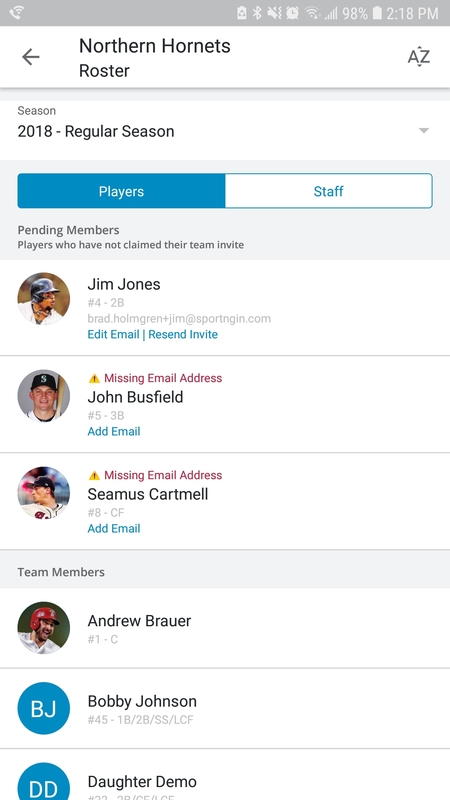 The newest feature added to SportsEngine Mobile (available for iOS in early February) allows coaches and team managers the ability to assist their parents with getting additional contact information associated with their athlete. 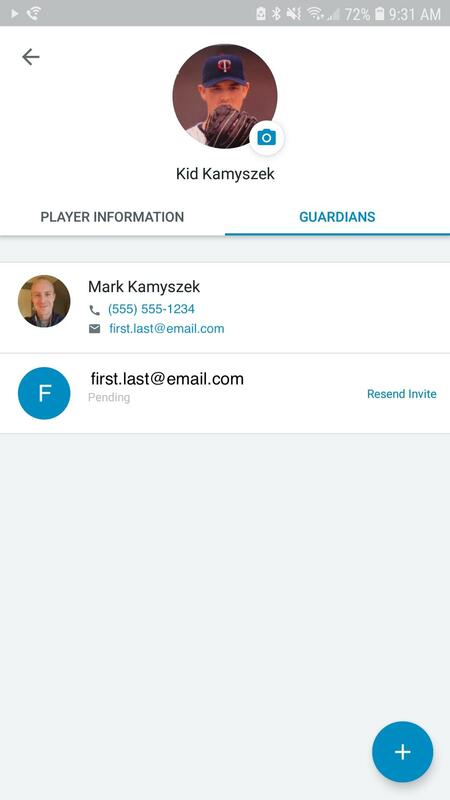 Adding guardians via the roster within the mobile app gives team admins the ability to ensure all guardians are receiving the necessary information to help manage their sports life. Open or download the SportsEngine mobile app and log into your account. Please note, you must be rostered to a team with the correct level of admin permissions in order to see your team and make edits. If you have questions about your permission level or you are not seeing your team in the mobile app, reach out to your organization. Now that you've found the team you'd like to add Guardians to, we will need to get into the roster. The roster page allows you to not only see all of the players details, but it will also show you the current Guardian contact information and the status of the account. The best way to get athletes and staff to show up on the roster is to use our Rostering tool, which can be found in SportsEngine HQ. Want to know more about rostering? Click here. Whether you are adding Guardians for your entire roster or just a select few, you will need to click into each athlete one at a time from the roster view. Selecting an athlete brings up his or her player details, but you will want to focus your attention to the new Guardian tab to the right. The Guardians tab shows any current Guardians the athlete has listed on their profile. Make sure to double check if the contact information has been added so as to not duplicate email addresses. Finally, it is time to add the email address of the new Guardian to the athlete's profile. After adding the email address, the user will need to accept and confirm. 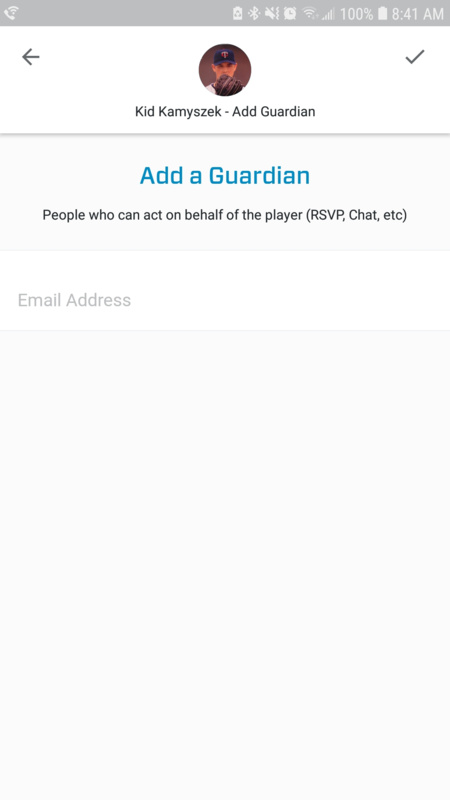 Once confirmed, the Guardian will have access to the player's information and will be able to RSVP and communicate with the team! More questions on how Guardians work? Click here. The new Guardian functionality gives coaches and team admins the ability to assist their athlete's families in getting properly set up within the mobile app. 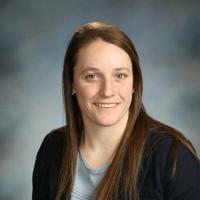 This will enable them to be more connected and up to date with everything that is going on with their child's team. We understand it takes a village to support a child's sports life and we want to ensure we are doing everything we can to assist!